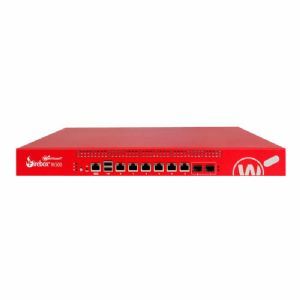 Trade in your older generation WatchGuard firewall and get unified threat management at a great price with the Firebox M500. The M500 firewall is specifically engineered for mid-sized and distributed enterprises that are struggling to effectively and affordably secure networks in the face of explosive growth in bandwidth rates, encrypted traffic, video use and connection speeds.The M500 can run all of their security scanning engines in parallel, ensuring network pros never have to compromise network security for performance. Basic Security Suite delivers security subscriptions to boost protection in critical attack areas, including Application Control, Intrusion Prevention Service, WebBlocker, Gateway AntiVirus, Reputation Enabled Defense, Network Discovery, and spamBlocker, plus 24x7 Support for support and maintenance 24 hours a day, 7 days a week.